Open Mix (Jazz/Lyrical/Modern) - Calgary Dance Studio | Prestige Dance Inc.
Our open mix classes are generally intended to give our intermediate and senior dancers an opportunity to take a class which includes more than one style of dance! 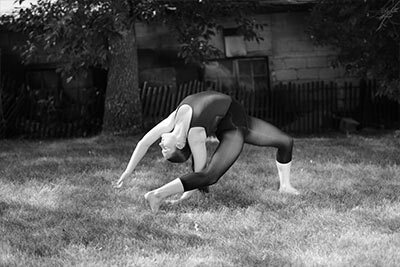 This program introduces a variety of dance disciplines including Lyrical, Jazz and Modern into one class. Our open mix classes includes elements such as expressive movement, classical technique training and core strength. Dancers learn how to perform and express the emotion and mood in a piece of music through the art of dance! Open mix dance classes are combo and technique based classes where the class will work on a specific routine for a few classes in a row while also incorporating technique training into this class! The technique that will be focused on in our open mix classes will be from the ADAPT jazz syllabus. All of our open mix combo dance classes take place once a week from September through to June where they will participate in the year end recital. For the first half of the year, our open mix dancers will focus on different dance combinations as well as jazz technical training. Once January comes, we will begin our year end recital dance to be performed in June. In the winter, our recital costumes will be ordered and they will be received mid spring. The year end recital is always a highlight of the year when the dancers growth and improvement is showcased on stage in such a special setting! The dress code for our open mix classes will be comfortable clothing; a bodysuit and tights, short or legging with a tank or t-shirt. We ask that all dancers who attend our open mix classes have their hair in a ponytail or bun to ensure it is pulled off their face for the whole class.